Our products use water and power. That is a fact. And although these resources are precious, they are vital to providing exceptional outdoor experiences and supporting commercial and industrial environments & processes. Our products and services are not just for show and comfort. We work with diverse markets and industries and our products affect their bottom line, provide jobs, and impact our world. 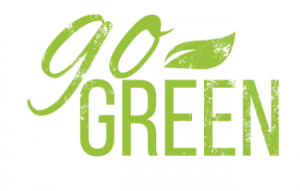 We recognize the vitality of what we do and are continuing to develop and refine our technologies and products to reduce energy consumption, decrease water usage, as well as support green projects such as working within emerging green growth markets. 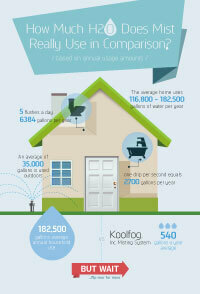 In tandem with our research and development, Koolfog also focuses on reducing our overall carbon footprint. 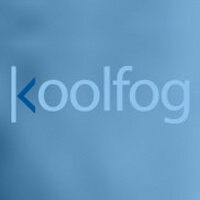 In 2011 Koolfog received a CoolCalifornia award as part of CoolCalifornia.org, a partnership between the California Environmental Protection Agency’s Air Resources Board, Universities and others. We are committed to California and our role as a leader in the Coachella Valley and surrounding cities including Palm Springs, Cathedral City, Rancho Mirage, Palm Desert, La Quinta, Indio, and Desert Hot Springs.